Act Naturally sponsors documentary on farmer suicides, their causes, and solutions. Act Naturally sponsors documentary on farmer suicides, their causes, and solutions..
Act Naturally sponsors documentary on farmer suicides, the causes and solutions. 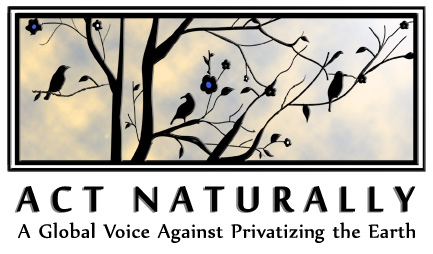 Act Naturally (www.actnaturally.org) is a non-profit who promotes non-violent biodiverse agricultural practices to solve problems in health and food security. We partner with farmers and communities, activists, volunteers and other N.G.O’s to provide debt relief, organic education, and micro livestock, seedstock and bag garden donations. With our Khet Jyoti Fund, farmers who benefit from our debt relief program are put on a four year transition period toward full organic production where their risks are minimized through Act Naturally’s partnerships that provide for their inputs such as seeds, and any loss of income from the transition. We effectively severe farmers ties with corporate agribusiness predators like Monsanto once and for all, eliminating costly inputs and the need for future debts. As part of our mission to increase public awareness worldwide about the benefits of organic agriculture and biodiverse farming practices, nutritional appropriation by agribusiness, and issues in national food security, we are raising money to create a 60 minute documentary about farmer suicides in India, their causes, and the civil resistance movements rising up in response. To date, it is estimated by the National Crime Records Bureau, part of the Ministry of Home Affairs in India, that over 200,000 farmers have committed suicide since trade liberalization in 1991. The film will show our audience how globalization and corporate agriculture are exploiting India’s farmers and replacing farming, which was once at the center of India’s democracy, with modern consumer values and service reliance at the cost of food production. At the time of trade liberalization in 1991 aimed at making India a global competitor, few people in India’s rural expanse, participated in the machine of money exchange and consumerism to the scale that would make India attractive to foreign investment. At the time of these vast economic changes some villages still bartered wheat for haircuts,and saved seeds. Over the next two decades, generations of people; their values, culture, customs, means of producing food, relationship to land, and way of relating to wants and needs would have a new system, one that required money at its core to be successful, overlaid on top of their day to day challenges. The forcing of biotech/chem-tech and/market-based agriculture ontop of a traditional agrarian society, that was self reliant, threaded together spiritually, and lacking complex social desires, has created the mass migration of farmers to cities looking for menial labor jobs, and/or farmers committing suicide do to escalating debts. The film will show how what we see today can be traced to a profound shift in social values and self sufficiency worldwide. Here is where the metaphor of the buttery fly effect glues together everyone as a part of the problem and solution. We will show how the debt cycle began, what forces made it possible and why it continues. We will interview leading activists and farm movement leaders on the issue, and use a significant portion of the film to highlight positive movements, protests, yatras and action along with organic solutions. We are lining up an impressive interview list including Umendra Dutt from Kheti Virasat Mission, Vandana Shiva, eco-feminist, environmentalist, writer and founder of Navdanya, Kishor Tiwari and more, to help illuminate the details as to how India has gotten into her current agricultural crisis. We will also embed with two families who have lost a member to suicide in the Vidarbha region, known as India’s suicide belt, to follow their day to day lives and present their hardship. We will use commentary from activists, and prominent farm sangha leaders, who work everyday at the edge. There is a concept in permaculture called edge. Edge is the boundary between two elements -between a field and a forest, between the water and land. At the edge we find the most creative innovations in nature, as she attempts to deal with the evolutionary pressures of two worlds in order to thrive. The camera will attempt highlight the color, innovation and variety of this edge, showing the juxtaposition of agrarian ancient India with modern India. It’s lens is focused on authenticity and purpose, survival and victory. We will follow the farm workers unions and movements and show the angle of brother and sisterhood created within these movements for support and survival. Any donation you can make is the right amount. Act Naturally is funded 100% by donations and we need your support to make this documentary from the ground up! Everyone who donates will get a copy of the final DVD. Donations over $150 will also receive an Act Naturally t-shirt along with the DVD. Thank you for taking the time to visit our site, and for your compassionate caring interest. Please feel free to write us with any questions at media@actnaturally.org. If you would like to know more about India’s agricultural situation visit our blog at http://www.actnaturallyblog.wordpress.com. You can also go to our brand new website at http://www.actnaturally.org to find out more about our programs. Will you Act Naturally with us? Nero during gladiator matches he would lite his garden parties with the burning carcasses of Christians. The guest lists to those parties were poets and artists, and upper class elites, and intellectuals..and..no one objected. Indian filmmakers follow rural reporter and activist P.Sainath into the causes of farmer suicides, and the system that neglects and destroys them. This is a shocking and eye opening film. Please take the time to watch, reflect and understand. India is home to 1.25 billion people 722% of which live in villages. As much as 60% of the work force works in agriculture in some capacity. Over the last two decades however, more and more people have been seeking non-agricultural work in cities, and urban townships. Mass migration from rural to urban areas has increased rapidly since 1991. An estimated 70-73 million people have migrated away from rural India because of a myriad of problems, such as lack of education, jobs, farming support, and opportunity and a lack of infrastructure for things like clean water and health care. In 1991 an exchange rate crisis caused by fiscal and balance of payment deficits, pushed India near bankruptcy. As part of a bailout deal with India, the International Monetary Fund directed India to sell 67 tons of gold to the IMF, which was transferred to London as collateral. Also, India had to devalue the rupee and restructure economically to make the country more open to foreign trade. Since independence from the British in 1947, India had operated a state-controlled economy called the License Raj system. As part of the deal with the IMF, India got rid of the License Raj system and liberalized the economy. A key player in the economic restructuring was Indian Prime Minister Manmohan. Singh. He moved India from a socialist economy into a capitalist one. He opened international trade and investment, initiated privatization of certain public sector companies, enacted inflation control measures, broke up state monopolies, and removed obstacles standing in the way of Foreign Direct Investment (FDI). At this time, India entered into an era of globalization. Trade liberalization, and globalization has forced India to compete with more developed countries, when only a percentage of her people were of the mind or education level to do so. There is no doubt however that economic reforms have brought with it many opportunities and chances for education, greater access to health care and public utilities, and an international competitor and contributor to many technological fields, among other things. Act Naturally acknowledges that there have been positive changes. 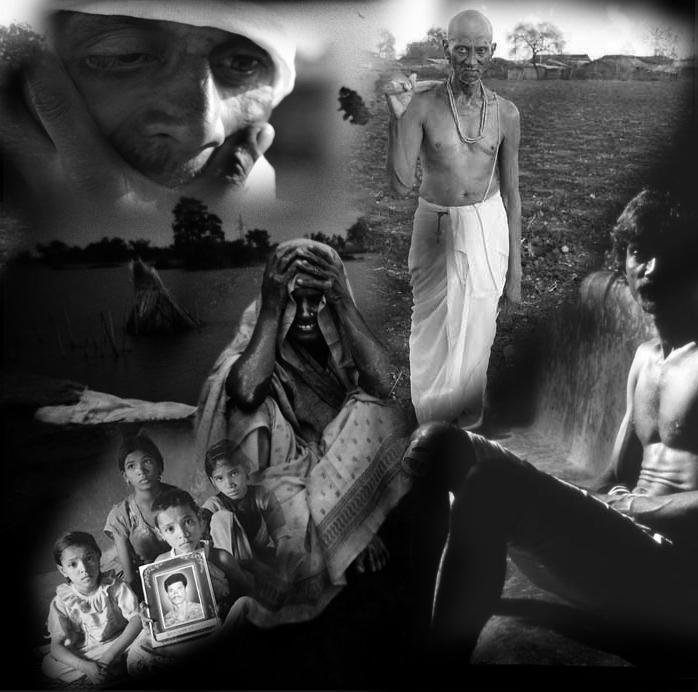 Our work however, focuses on those who have been left behind as India heralds a new age of prosperity. Not everyone in the world, and certainly not in India’s rural expanse, participated in the machine of money exchange and consumerism to the scale that would make India attractive to foreign investment. At the time of these vast economic changes some villages still bartered wheat for haircuts and shoe repair, saved seeds, and used cow manure to grow their crops. Over the next two decades, generations of people; their values, culture, customs, means of producing food, relationship to land, and way of relating to wants and needs would have a new system, one that required money at its core to be successful, overlaid on top of their day to day challenges. “With an influx of new money, products, and advertising these “poor people,” became overnight poster children for modernization by the developers. They all were potential markets. Tantalizing ads selling everything from new cellphones, to Coke, to diapers, to Himalayan shampoo, sparked conversation, then desire for a disposable world of stuff that has/had no real relevance to their practical day to day reality but never the less, with enough exposure, had tantalizing appeal . It was as if these new products could do something that nothing else had done – improve their social standing. The older generation was skeptical, but the younger generation craved it immediately. The promise of money in more urban areas to carve out a better life, has become the mantra that moves the young and old away from their family plots and often into cramped urban conditions. But that is not the only reason. The introduction of chemical agriculture since India’s Green Revolution began in 1966, has created more input costs to the farmer and these prices too have risen. The lack of government support for farming, because of an uneven focus on the IT, Biotech and Pharmaceutical industry, has left many farmers to the agendas of agribusiness giants like Monsanto, Carghil and ADM all American made. Farmers go into more and more debt year after year since signing initial contracts for “crop packages” – genetically modified seeds like BT-Cotton, that require companion herbicide for best results. These expensive seeds require the farmer to buy them year after year as it is a breach of contract with Monsanto to save seed. Every year he must take out a loan from someone or somewhere. Most rural farmers do not have official documentation of their land. This means credit and collateral is questionable, so they choose to deal with private money lenders even though private money lending is officially illegal. When a farmer can no longer pay their debt, two common scenarios play out. 1. They commit suicide or; 2. Their family land is seized by debt collectors. These pressures, coupled with land grabs by foreign interests made possible by the SEZ or Special Economic Zones Act passed in 2005, and the Land Acquisition Act, has meant that more and more agricultural lands are abandoned, sold to foreign interests for nonagricultural purposes, seized by private money lenders cashing in on their debts, and/or turned fallow do to exhaustion of the ecosystem with chemicals. It is not coincidence that the issue of farmer suicides was brought to the attention of the government in the early 90s just as India was liberalizing trade, by a journalist who focused on rural reporting named P. Sainath. Palagummi Sainath was the rural Affairs editor of the Hindu at that time. Although the numbers have a margin of error do to difficulties with official reporting, it is estimated by the NCRB that over 200, 000 farmers have committed suicide in the last 15 years. The NCRB is the National Crime Records Bureau, part of the Ministry of Home Affairs, is responsible for collecting and analyzing crime data in India. Some reporters say the number is as high as one suicide every half hour! Absence of adequate social support infrastructure at the level of village. No counselors. Issue is taboo. Relief packages organized by the central government did not take in account farmer’s demands, or those of civil society organizations, local government bodies or panchayats as reported by an audit of the state done by Green Earth Social Development Consulting. The same open market policy followed by India which has been a boon to foreign investors coming into the IT industry and benefiting Indian IT Engineers is causing an ever widening price gap between the food the farmers must eat to survive and the price the farmers get for their food in the market. Lowering water tables and lack of irrigation facilities. Expensive bore wells are now needed in some states. Poorer farmers can’t afford, and their lands are bought out by larger more successful farms. Pressure to use genetically modified seeds that are not acclimated to the fluxes in India’s climate. Pests are adapting. In the next blog article, I’ll introduce the solutions. There are many ways in which NGOs, non-profits, farming educators, local governments, cooperatives, unions, members of independent media, activists, volunteers and philanthropists can come together, bypassing culturally tolerated systems of corruption, to direct efforts that fortify the stability of India’s farmers. These are outlined in the next issue. As the world’s population surges, the international community faces a pressing problem: How will it feed everybody? Until recently, people thought India had an answer. Farmers in the state of Punjab abandoned traditional farming methods in the 1960s and 1970s as part of the national program called the “Green Revolution,” backed by advisers from the U.S. and other countries. Indian farmers started growing crops the American way — with chemicals, high-yield seeds and irrigation. 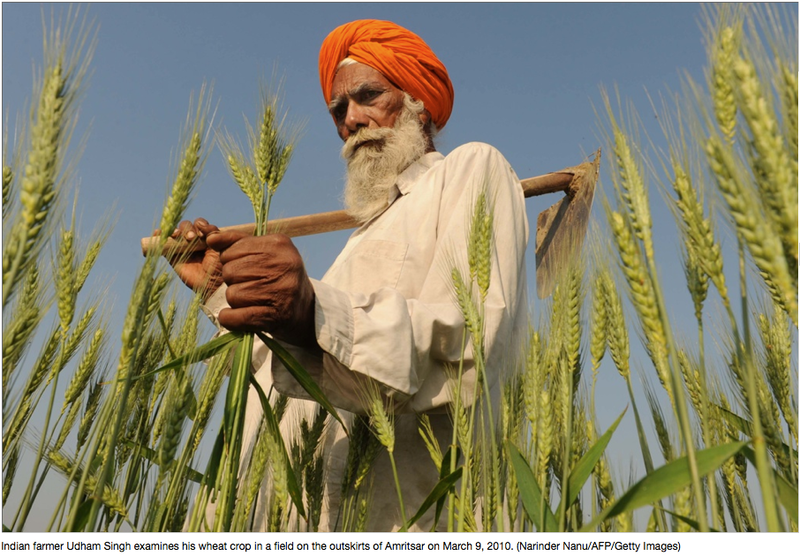 Since then, India has gone from importing grain like a beggar, to often exporting it. But studies show the Green Revolution is heading for collapse. On a recent morning, a drilling rig is pounding away in the middle of a wheat field near the village of Chotia Khurd. The sound, part jackhammer and part pile driver, is becoming increasingly common in the farm fields of northern India’s Punjab region. The farmer, Sandeep Singh, is supervising and looking unhappy as the rig hammers away, driving deeper and deeper under his field in search of water. When India’s government launched the Green Revolution more than 40 years ago, it pressured farmers to grow only high-yield wheat, rice and cotton instead of their traditional mix of crops. The new miracle seeds could produce far bigger yields than farmers had ever seen, but they came with a catch: The thirsty crops needed much more water than natural rainfall could provide, so farmers had to dig wells and irrigate with groundwater. The system worked well for years, but government studies show that farmers have pumped so much groundwater to irrigate their crops that the water table is dropping dramatically, as much as 3 feet every year. So farmers like Sandeep keep hiring the drilling company to come back to their fields, to bore the wells ever deeper — on this day, to more than 200 feet. The groundwater problem has touched off an economic chain reaction. As the farmers dig deeper to find groundwater, they have to install ever more powerful and more expensive pumps to send it gushing up to their fields. Sandeep says his new pump costs more than $4,000. He and most other farmers have to borrow that kind of cash, but they are already so deep in debt that conventional banks often turn them away. So Sandeep and his neighbors have turned to “unofficial” lenders — local businessmen who charge at least double the banks’ interest rate. The district agriculture director, Palwinder Singh, says farmers can end up paying a whopping 24 percent. Another side effect of the groundwater crisis is evident at the edge of the fields — thin straggly rows of wheat and a whitish powder scattered across the soil. The white substance is salt residue. Drilling deep wells to find fresh water often taps brackish underground pools, and the salty water poisons the crops. In the village of Chotia Khurd, farmers agree that the Green Revolution used to work miracles for many of them. But now, it’s like financial quicksand. Studies show that their intensive farming methods, which government policies subsidize, are destroying the soil. The high-yield crops gobble up nutrients like nitrogen, phosphorous, iron and manganese, making the soil anemic. The farmers say they must use three times as much fertilizer as they used to, to produce the same amount of crops — yet another drain on their finances. A farmer named Suba Singh has seen the good and bad effects of the Green Revolution. Clad in a bright blue turban and his face furrowed like a field, he opens a squeaky wooden gate to his compound. He points to a small building made of mud and straw, with faded green doors. “That’s where my family used to live,” he says. During the profitable years of the Green Revolution, he saw that everyone else in the village was building brick houses. He turned the old mud house into his cattle shed. But now he is in debt. Suba and the other farmers say they’ve had to borrow money to buy just about everything that makes them look prosperous — their brick homes, tractors, cattle, even their plastic chairs. The farmers have also built their Green Revolution farms and lifestyle on another unstable source of money: Family members have moved overseas to find jobs, because they couldn’t make a living farming, and now they send part of their income back to Chotia Khurd to support their relatives. A System About To Collapse? Some leading officials in the farming industry wonder when this house of cards might collapse. “The state and farmers are now faced with a crisis,” warns a report by the Punjab State Farmers Commission. India’s population is growing faster than any country on Earth, and domestic food production is vital. If he is correct, suicide is coming through national policies that reward farmers for the very practices that destroy the environment and trap them in debt. Kalkat says only one thing can save Punjab: India has to launch a brand new Green Revolution. But he says this one has to be sustainable. The problem is, nobody has yet perfected a farming system that produces high yields, makes a good living for farm families, protects and enhances the environment — and still produces good, affordable food. India has increasingly embraced free trade and, since 2002, has had one of the world’s fastest growing economies. But only images of this new prosperity have reached the impoverished rural areas where two thirds of India’s 1.1 billion people live. Left behind by India’s soaring economic boom is Vidarbha, a region of hilly forests in the middle of India. It used to be known as India’s cotton belt – but now captures headlines as its suicide belt. In 2006, 1,044 suicides were reported in Vidarbha alone – that’s one suicide every eight hours. Vidarbha farmers face a grim reality of crop failures, sinking global cotton prices and crushing debts. Farmers in default at the bank frequently resort to illegal moneylenders who charge up to 100 percent interest. And, the government safety net – that once kept cotton prices closer to the cost of production – has all but disappeared. Under India’s new free trade policies, Vidarbha’s 3.2 million cotton farmers – most of them small landholders – must compete in a global market that includes formidable, often subsidized rivals, including American cotton farmers. At a moment when India is enjoying record economic growth, THE DYING FIELDS turns to Vidarbha’s four million cotton farmers who have been left behind, struggling to survive on less than two dollars a day. WIDE ANGLE cameras follow Kishor Tiwari, former businessman turned farmer advocate, whose tiny office in the heart of this cotton-growing region functions as the archive and watchdog for the suicide epidemic; traveling salesmen hawking genetically modified – and costly – cotton seeds that require irrigation that few Vidarbha farmers have; the last rites of a farmer who couldn’t pay his debts; a tour of the poison ward at the local hospital, where beds are always filled; and a visit by then-president of India, A.J.P. Abdul Kalam, whom the farming widows beseech for help in convincing the government to forgive their debts. Thanks for watching and reading. You may be excited to find out that ActNaturally.org has gone from flow charting and visualizing to planning. Very soon we will introduce Act Naturally to a global audience asking for support for our grassroots efforts to provide relief to farmers in India. Thousands of cotton farmers in India are killing themselves in their fields. Gokal Landkar sits beneath the mango tree from which his father hanged himself a week earlier. VIDARBHA REGION, India — The reminders are still here as Gokal wipes tears from his face. There’s the white headscarf with gold trim, next to a pair of cracked and worn sandals. The rope is here, too, snaking along the ground next to a large mango tree, a perfect noose tied at its end. Five days ago, Gokal’s father hanged himself from the mango tree. His name was Motiram Baban Landkar, and Gokal and his two brothers don’t know how old he was when he died. In this part of rural India, birthdays go unnoticed and age matters little. The three sons can agree only that their father was about as old as the mango tree, and he took his life on May 31 to escape a debt of about $850. He is one of nearly 200,000 Indian farmers, many of them cotton growers, to commit suicide since 1997. In fact, suicide among farmers in India has become so prevalent that officials in New Delhi keep a tally. Hanging and consumption of poison are the common methods of death, and most farmer suicides have occurred in India’s cotton belt, which extends from Hyderabad north to Nagpur, at the geographical center of India, and east to the state of Gujarat. Many in India blame a combination of climate change, globalization and the U.S. corporation Monsanto for pushing to suicide thousands of subsistence farmers. Now it’s deadly, and with the worst drought conditions India has seen in decades, this year’s December cotton harvest could be one of the deadliest. Kishor Tiwari works from a small, two-room office in Yavatmal, the largest city in an area of the country that has witnessed more farmer suicides than any other. Tiwari, a fast-talking former engineer, is attempting to document as many of those deaths as he can. As founder of the Vidharbha People’s Agitation Committee, Tiwari has made a full-time job of raising awareness of cotton farmers’ plight. Kishor Tiwari has dedicated his life to raising awareness of farmer suicides in India. On an afternoon in June, with the annual monsoon rains already two weeks late in what scientists believe is a symptom of climate change, Tiwari motions to one of his assistants. “This is the suicide man,” he says. The man hands Tiwari a white ledger. Inside, on dog-eared pages, there’s a line for every suicide: name, date, place of death. Tiwari believes St. Louis, Missouri-based agribusiness giant Monsanto is the primary reason for the suicides, and to understand why he believes this, it’s instructive to appreciate first how drastically the cotton-seed business has changed in India. Cotton seed has historically been among farmers’ lowest expenses. During the harvest, cotton growers would cultivate crop seeds and save them for the following season. As a general practice, they also would swap seeds with neighboring farmers, ensuring through natural selection that subsequent generations of cotton seed would be best suited for the region. Although local cotton did not provide the same potential yields as cotton seed from the Americas, it had adapted to India’s unique climate — an intense monsoon season followed by months of drought. Monsanto helped to abolish this practice. At the turn of the century, the company introduced a genetically modified cotton plant that produces bacteria known as Bacillus thuringiensis, or Bt, a commonly used pesticide against bollworm. When Bt cotton seed first came to market nationwide in 2002 under the trademark Bollgard, a box recommended for one acre of farmland was 1,400 rupees, about $35, a substantial amount for a farmer who in a good year will earn a few hundred dollars to support his family. Although government-regulated prices have been halved to 750 rupees per box — a predatory pricing lawsuit filed by the state of Andhra Pradesh forced Monsanto and the federal government to lower the prices — the input costs of Bt cotton are still more than the average farmer can afford to spend out of pocket. What’s more, unlike with traditional seeds, farmers aren’t able replant seeds harvested from the crop. Doing so not only would violate a farmer’s legal agreement with the seed company but would be impractical as well. Because Bt sold in India is only available in hybrid seeds, replanting the next generation of seeds is a genetic crapshoot. Hybrids genetically segregate with every generation, with only one-third of seeds showing the same genetic traits of the parent. While hybrids can offer yield benefits for farmers, they primarily offer Monsanto greater control of intellectual property through this genetic segregation. As a result, farmers must buy new seeds year after year. Despite the high costs of Bt cotton and the problems associated with the seed, advertising campaigns and government promotion of Monsanto’s technology initially helped persuade Indian farmers to take out loans and buy the genetically modified cotton seed. On a macro level, Bt cotton has been a success in India. Since its introduction, national cotton production has doubled. But on a micro level, when examined from farm to farm, Monsanto’s technology has clearly offered mixed results. Because the genetically modified Bt trait is only readily available in hybrid seeds, the crop requires more water than traditional Indian seeds. Affluent farmers with irrigated fields can fully exploit the technology and profit from increased yields, and these farmers are success stories for Monsanto. But still 60 percent of India’s 90 million farmers own less than two and a half acres of land, and for them, the situation is vastly different. Subsistence farmers own rain-fed lands whose success depends entirely on the generosity of the monsoon. During this current period of unpredictable rains and increasing drought, these farmers have, like their more affluent counterparts, adopted drought-intolerant Bt cotton, which has resulted in reports throughout the region of crop failure and disappointing yield levels. Although boxes of Bt cotton have a warning label that instructs farmers to use the seed only in irrigated fields, the warning is in English, which few farmers can read. Now, only a few years after the introduction of genetically modified seeds, Bt cotton has become so universal, and so much more profitable for the seed companies that license Monsanto’s technology, it’s the only type of seed available to farmers at stores. Consequently, every year as Indians await the monsoon rains, farmers line up to sign loan paperwork. In less than a decade, cotton seed in India went from a negligible cost to one requiring a bank loan. “Fifty percent of farmer expenses now come from the cost of the seed,” Tiwari, the activist, says. Whereas previous generations of cotton farmers could recover from crop failure — they would face a year of hardship from reduced income but could find means to plant again the following year — India’s subsistence farmers today are playing a game of agrarian roulette. Here’s the familiar pattern: To purchase Bt cotton, the farmer must take out a seed loan from the State Bank of India. If the crop fails due to a poor monsoon — a noteworthy potential given Bt cotton’s design for use in irrigated fields — the farmer will not be able to pay back the loan and will be denied a second loan. The farmer then will turn to an unregulated private moneylender who charges usurious rates, sometimes as high as 100 percent. A second crop failure, or even an underperforming crop, can place the farmer in a hole so deep that many turn to suicide. In fact, the number of farmer suicides in India spiked in 2006, and has remained steady since, following implementation of a government program to pay as much as 10,000 rupees in compensation to families affected by farmer suicide. Suddenly, indebted cotton growers were worth more as corpses than as patriarchs. Gajanan Bhindarwa cradles cotton seeds containing Monsanto’s genetically modified Bt trait. That’s what happened to Vithal Bhindarwa, whose six-acre cotton farm was near the two-lane highway that runs from Hyderabad to New Delhi. His crop failed in late 2008, and he owed 28,000 rupees to the State Bank of India and even more to a private moneylender. Bhindarwa’s wife and children did not know the debt existed, and one evening in December, the farmer stepped out of his two-room home and swallowed poison he had reserved for rats trolling in the soybean field. ”We were told it would produce good results, the Bt cotton, so everybody took a loan,” says his son, 23-year-old Gajanan, now head of the family. Today, according to one of Monsanto’s own studies, 95 percent of farmers in India have expenditures greater than income. These farmers are upside down on loans, but instead of walking away from farms as Americans have walked away from homes, thousands are hanging and poisoning themselves. Sekhar Natarajan, Monsanto’s head of India operations, lives in Mumbai, about 425 miles west of the farmlands where these suicides are occurring, and oversees a business that generates more than $70 million in annual revenue from sales in the Indian heartland. Sitting at a desk in his office, Natarajan bristles at the claims his company is somehow responsible for suicides among subsistence farmers. “I like to start out by saying that, as an Indian, whenever I hear about the suicide of farmers, it pains me, because it’s a human life that we’re talking about,” Natarajan says. “Farmer suicide is a very painful subject, and it’s a subject that is important for India as a country to clearly understand. It’s not one single cause. A farmer commits suicide as a last resort, to keep up his honor and commitment which he’s unable to do. Monsanto has funded three studies attempting to prove the company isn’t responsible for the suicides. Those studies linked farmer suicides to a variety of social ills, including alcoholism, gambling and the use of credit to finance weddings and dowries. One study, by the International Food Policy Research Institute, concluded farmer suicides had so many possible contributors in addition to Bt cotton that any conclusive links to a single contributor were impossible to form. Despite the Monsanto-funded studies, it’s clear from the ground level that had India not moved its cotton industry to genetically modified seeds so quickly, and instead confined the technology to the larger, irrigated fields for which it was designed, the agrarian suicide crisis wouldn’t exist at the level it does today. 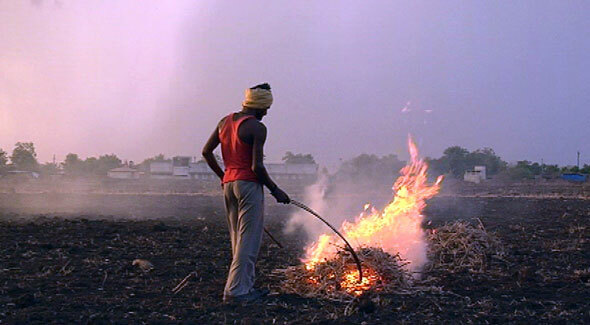 Critics of Monsanto in India allege this imprudent agrarian policy is the result of government corruption and the U.S. company’s gaming of the system. “If you can bribe someone in the regulatory agency, you get what you want,” says Suman Sahai, a geneticist in New Delhi and activist against seed patents. “I’ve seen too many scientists start to speak against their mind and their conscience just for money from Monsanto,” says Vandana Shiva, a well-known environmental activist in India. Sahai and Shiva can’t provide evidence to support their claims, and Monsanto officials are quick to brush off such charges, saying their business in India complies with the Foreign Corrupt Practices Act, a U.S. law that prohibits bribery of foreign officials. Even so, Monsanto has demonstrated tremendous skill at influencing public officials in India. Among the best examples is C.D. Mayee, a New Delhi scientist who was co-chair of the Genetic Engineering Approval Committee when Monsanto sought approval for Bt cotton in 2001. Mayee granted that approval in 2002, and four years later, the International Service for the Acquisition of Agri-Biotech Applications, an organization whose major funders include Monsanto, appointed Mayee to its board of directors. Mayee saw no conflict of interest in being paid to promote the same technology he was charged with regulating. “ISAAA is engaged in a noble mission globally and this is the first time an Indian has had the honor of being on its board,” Mayee told The Times of India at the time of his appointment. Mayee voluntarily stepped down as India’s regulator of genetically modified agriculture in May. However, as a member of the Indian Council of Agricultural Research, Mayee remains an influential government official in India and still serves on ISAA’s board. During a June interview in his New Delhi office, when asked if he regrets having approved Bt cotton given that a rural credit crisis and a rise in farmer suicides followed introduction of the technology, Mayee remains emphatic in his support of Monsanto’s technology. Asked why he believes his opinion should be viewed credible when he sits on the board of an organization funded by Monsanto, Mayee abruptly ends the interview without explanation. It was a Sunday morning when Motiram Baban Landkar hanged himself in Vidarbha’s Akola District. His three sons had all left the village. Shivlal and Shantaram had gone to the market, and Gokal attended a wedding. Motiram Baban Landkar never told his sons that the family was in debt due to seed loans. what he’d planned. He walked five minutes from the village to his farm, crushing the parched earth with every step. He tied the rope, first around a sturdy branch of the mango tree and then around his neck. About an hour later, a neighboring farmer found him hanging there and called police. They cut down the body and left behind the rope, scarf and sandals. “Every day we come here, since it happened,” says Motiram’s middle son, Gokal. A few days after the suicide, Gokal and his brothers learned of the debts — first from a private moneylender, then from a bank official. They’d known money was tight; they just didn’t realize the family owed money. Their father handled all finances for the combined family of 22 people. Inside their small home in the village, Gokal says he blames the high cost of seed for pushing his father to suicide. Had he not taken out seeds loan, Gokal says, the debt would not have existed. Sitting next to Gokal are his two brothers, and napping on his lap is his 3-year-old daughter Lakshmi. When asked what’s next for his family now that his father is dead, Gokal buries his face in his hands. Lakshmi looks up from his lap, half-asleep. When the monsoon rains finally arrive in early July, one month late, farmers in Vidarbha are disappointed. The news gets worse in the following weeks. The government says rain levels are 29 percent below average this year, and halfway through monsoon season, 177 farming districts are declared drought zones. Indian cotton farmers are expecting a deadly harvest. Research for this story was supported in part by a grant from the Fund for Investigative Journalism.